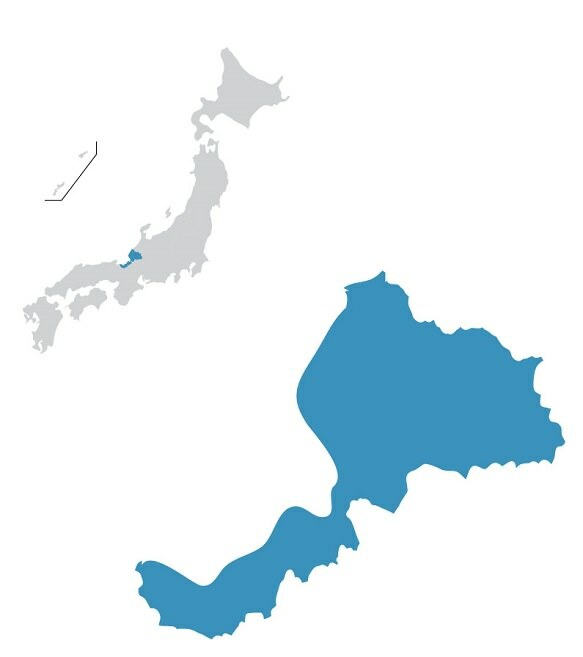 Fukui Prefecture is located in the Chubu region and its capital is Fukui City. 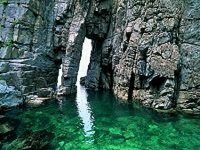 Fukui’s two most popular tourist destinations are Eiheiji Temple and Fukui Dinosaur Museum. 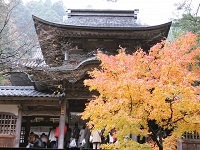 Eiheiji Temple was founded in 1244 by Buddhist scholar Dogen Zenji. It is one of the two head temples of the Zen Buddhism’s Soto Sect and is still an active monastery. The monastery still has around 150 practicing Zen monks and those affiliated with the sect can stay at the temple overnight. 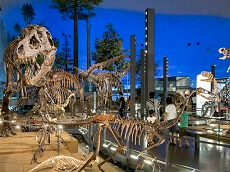 Fukui Dinosaur Museum is the largest dinosaur museum in Japan and recognized as one of the top three in the world. Here you will encounter a life-like Tyrannosaurus Rex display and other exhibits where visitors can view and touch real fossils. Fukui has several local dishes including “Echizen oroshi soba”. (Echizen is Fukui Prefecture’s old name) Echizen oroshi soba is soba, buckwheat noodles, with grated daikon, Japanese radish. 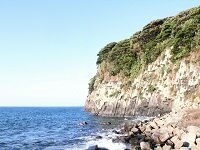 Although the dish is very simple, it gained its popularity from Fukui being an ideal place to produce buckwheat, therefore producing delicious soba. 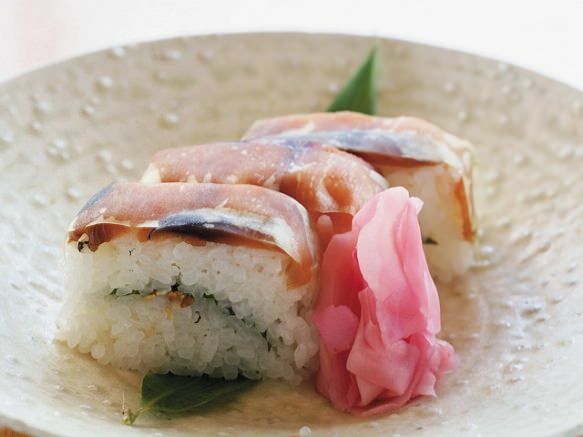 Another local dish is “heshiko”, preserved mackerel. In the early spring months when bountiful mackerel can be caught, the fish are preserved so they can be enjoyed year round. The fish are then lightly grilled and enjoyed later in the year as heshiko. Bamboo work has been very popular in Fukui Prefecture for many years. 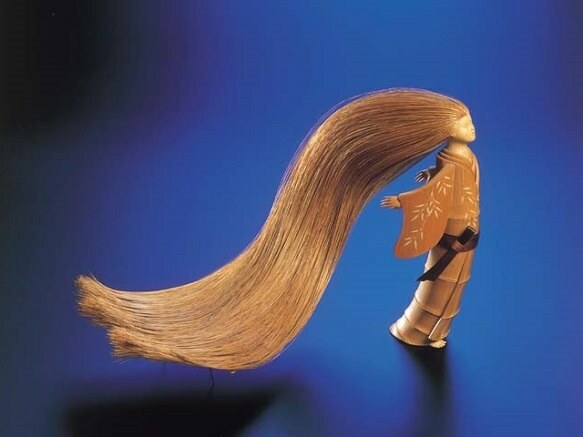 One specific type of bamboo work that flourished in Fukui is the bamboo doll. Craftsmen add precise details and use intricate techniques to create desired effects. They focus on details even small enough as the splitting of one's hair. Echizen Take-ningyo no sato" (Echizen Bamboo Doll Village) is a great museum to witness some amazing works and even experience bamboo doll making. 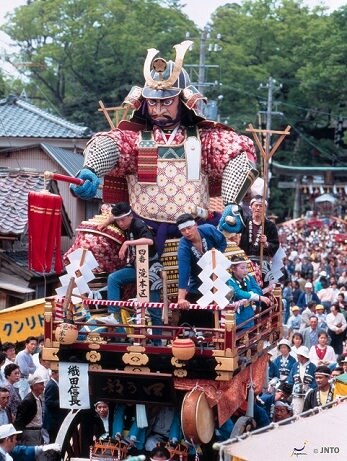 Mikuni Matsuri is a 3 day festival in Fukui held in the spring time that attracts over 100,000 spectators. Several 7 meter tall floats with enormous paper dolls of historically significant Japanese figures make their way through the streets. Although all three days of the Mikuni Matsuri are great, the second day is the highlight event. Before the festival, the official website of Mikuni Matsuri provides a list and explanations of the historical figure paper dolls that will be featured in that year's festival so guests will be more knowledgeable during the parade.